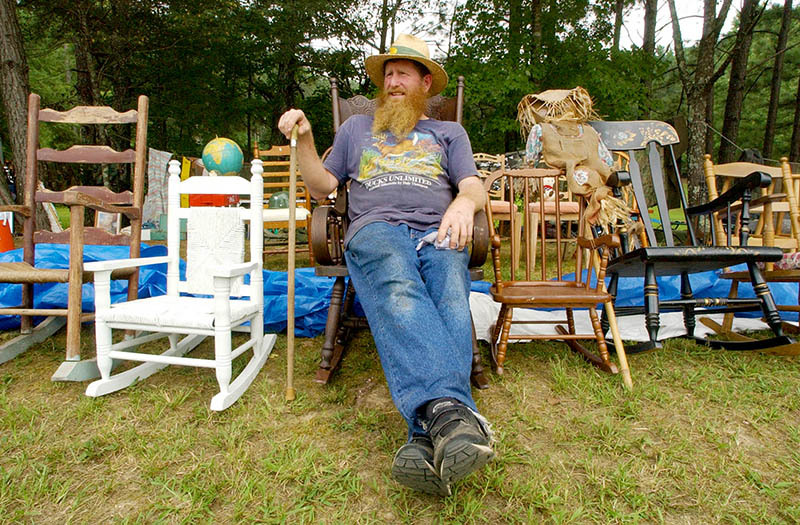 Merchant Dale Howard of Louisiana sits amongst his wares in the World's Longest Yard Sale in Gadsden, Etowah County. The event, which is held annually in August, begins in Gadsden and stretches all the way to Cincinnati, Ohio. Courtesy of The Birmingham News. All rights reserved. Used with permission. Photograph by Charles Nesbitt.